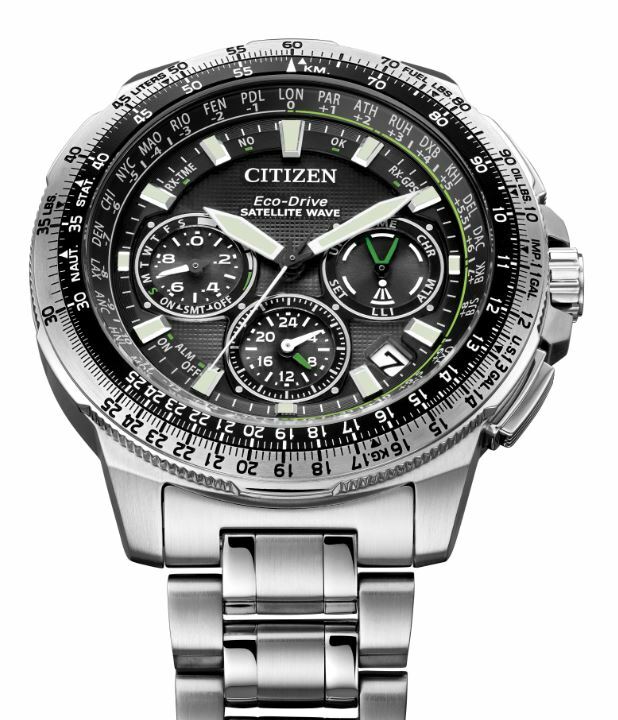 A highlight of Citizen Watch’s SS16 collection is the sleek design of the Promaster Navihawk GPS which offers efficiency, style and functionality whilst being smartly powered by light and not a battery for ever-lasting time-keeping. 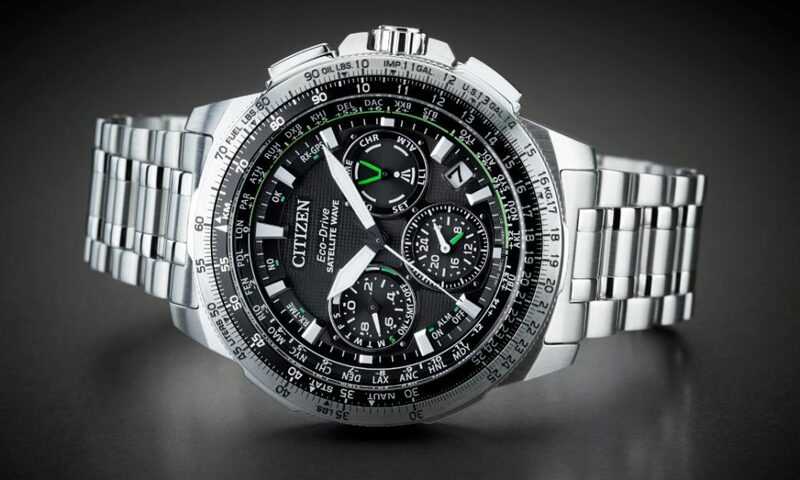 The Citizen Promaster Navihawk GPS is a sophisticated timepiece with the world’s fastest timekeeping signal reception speed from GPS navigation satellites. In just three seconds the Promaster Navihawk GPS can calculate the time in 27 cities and 40 world time zones, offering accuracy without manual intervention. It also offers a perpetual calendar and a 1/20 second chronograph measuring up to 24-hours, plus a pilot’s rotating slide rule bezel. Convenient Daylight Saving Time, light level and power reserve indicators keep the wearer fully informed. As a finishing touch, the Promaster Navihawk GPS incorporates a dual time and alarm function, plus tough sapphire crystal glass. Aesthetically the Promaster Navihawk GPS is equally impressive with a robust 47mm case crafted in Diamond-Like Carbon (DLC). The stainless steel case and bracelet model is off-set perfectly with a textured black dial, incorporating hints of vibrant green as points of interest on three dominant sub-dials. The second model focuses on slick monochrome, with Citizen’s exclusive Super Titanium achieving five times the hardness of stainless steel. 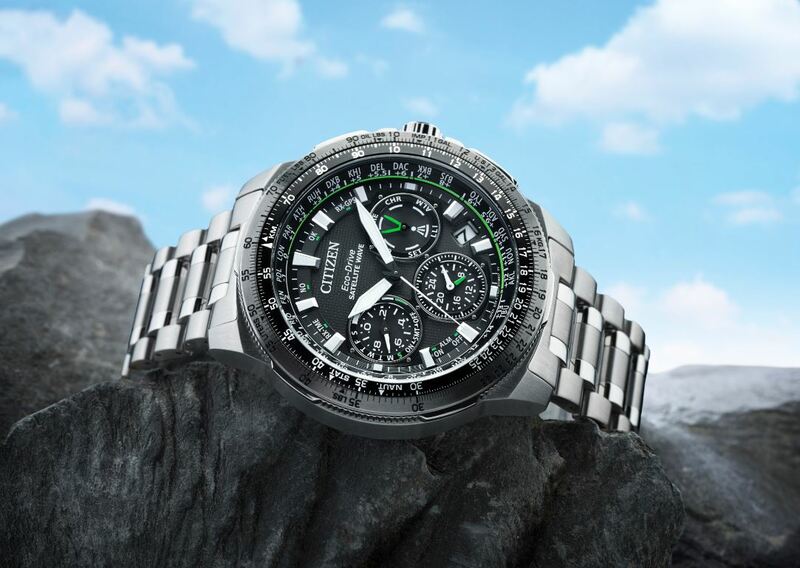 The Promaster Navihawk GPS is a watch with many attributes, styled for many uses, worn only by the individual. The new collection will available from April onwards, with retail prices of £995 and £1,395 respectively.